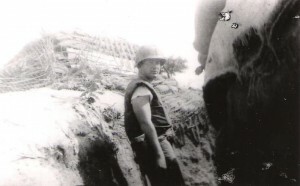 My father, while serving in Korea. Every November 10th my sister and I call my father to say Happy Birthday. Sometimes my mother buys a small cake to mark the occasion. However, November 10th is not my father’s actual birthday. It is the “birthday” of the United States Marine Corps, which was formed on 10 November 1775 in Philadelphia, Pennsylvania. My father served as a U.S. Marine during the Korean War, and he always appreciates it when we acknowledge this date. Growing up, I didn’t know much about my father’s military service. When I first began researching my family history, I spent a lot of time looking for information on the more distant generations of my family. However, I began to realize that I needed to take the time to learn more about the lives of my parents. One area I wanted to focus on was my father’s service during the Korean War. I consulted a number of sources to collect information about my father’s military service. One of the databases available at Ancestry.com is “U.S. Marine Corps Muster Rolls, 1798-1958.” I located several documents pertaining to my father, which enabled me to create a timeline of his service, starting with his training at Parris Island in South Carolina, in 1952, through his final assignment at Camp Lejeune in Jacksonville, North Carolina, in 1955. These documents also list his rank, so I was able to track his various promotions from Private First Class to Sergeant. As I progressed with my family research, I decided to create a photo book for my parents. I had some photographs of my father taken during the war that I wanted to include in this book, so I spent an afternoon talking to him about these photographs and his military service. He talked about his advanced combat training at Camp Pendleton in San Diego County, California, prior to his deployment in 1952. He also told me stories about some of the men he served with during the war. Talking to my dad about those photographs was a great opportunity for me to hear firsthand about his experiences during the war. After speaking with my father, I searched a collection of audio- and videotaped interviews of veterans available online through the Library of Congress as part of the Veterans History Project. This collection contains interviews of veterans who served in the First World War through the Afghanistan and Iraq Wars. I located and listened to the interviews of several individuals who served during the Korean War, to learn more about the experiences of others who served during this time period. 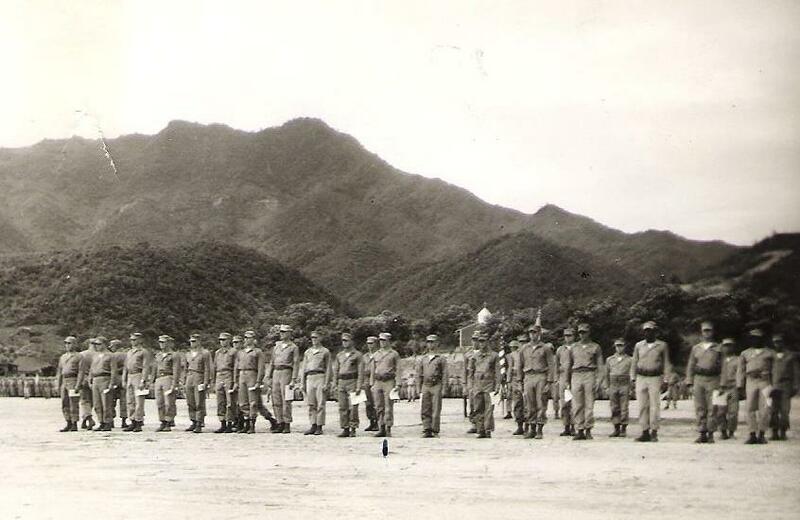 My father’s Silver Star medal ceremony. The thing that affected me the most over the course of my research was learning more about the events that led to my father being awarded the Silver Star medal. He and his fellow squad members were on their way to relieve some Marines who were stationed at an outpost when they were pinned down by enemy fire. My father fought for five-and-a-half hours before reinforcements arrived, and he was the only member of his group to survive. I have a copy of the citation he received when he was awarded the Silver Star, but I also located a transcription of his citation online at MilitaryTimes.com. A database containing transcriptions of over 350,000 award citations is available on this website. A photograph of my father receiving the Silver Star was published in the local newspaper in Roxbury, Massachusetts, where my grandparents resided. My grandmother cut the photograph out of the newspaper and had it laminated. Over the years the image has yellowed and faded, so I wanted to locate a better copy of this newspaper clipping. Unfortunately, my grandmother had not written down the name of the newspaper that published this photograph. However, a number of newspapers are available on microfilm at the Boston Public Library, including those published in Roxbury. I was able to narrow down the time frame of when the photograph was published, based on the date listed on my father’s award citation. While I was successful in locating the newspaper article that contained this photograph, the quality of the microfilmed image was poor, so I was unable to obtain a clearer copy of this image. By taking a closer look at my father’s military service, I now have a better understanding of why November 10th is an important date for my father. Happy Marine Corps Birthday, Dad. Thank you for your service. My father passed away at an early age. He entered the army late in WWII due to having a glass eye. I have his discharge papers, but never really looked into his service until my son wondered what the insignia on his uniform meant. We researched a little and found out that he was a large arms armorer in California, and more about the places he was stationed, etc. So even though I don’t have my father to ask these things (you are very lucky), I was still able to add to the family’s knowledge of his service. What a nice story. Thanks. Thank you for your father’s service. My son is a currently serving Marine who was deployed last year to Afghanistan, and fortunately, returned unharmed. So happy birthday to all Marines, serving or retired, alive or passed away, for once a Marine, always a Marine. Semper Fi! My mother kept a scrapbook of my father’s service in the Army during WWII. this contained photos, V-mail, newspaper clippings (about all the locals serving, not just my Dad) and other memorabilia. The scrapbook was falling apart so I purchased another, added the Army insignia to the front and put each page of the original into the new scrapbook. Recently I donated this scrapbook to the Chester (CT) Historical Society so that others of the town could share these memories. Happy Birthday Marines! Although I was a Lt. in the Army, when you are stationed at Marine Corps Headquarters Vietnam (Da Nang) and the Marine Corps band returns to barracks pleying the Marine Corps Hymn, you quickly learn to come to attention, smartly. I was there for the birthday in Nov 1967. The officer who cut the cake with the shortest time to go did so and then left for the airport; that is a short-timer. My son, Jim Esson, was one of the interviewers for the Veterans History Project, through the American Wartime Museum http://www.nmaw.org/, which has a new mobile recording studio. Contact Greg Pass at gpass@nmaw.org for more information.